This book is a recent favorite in our house. 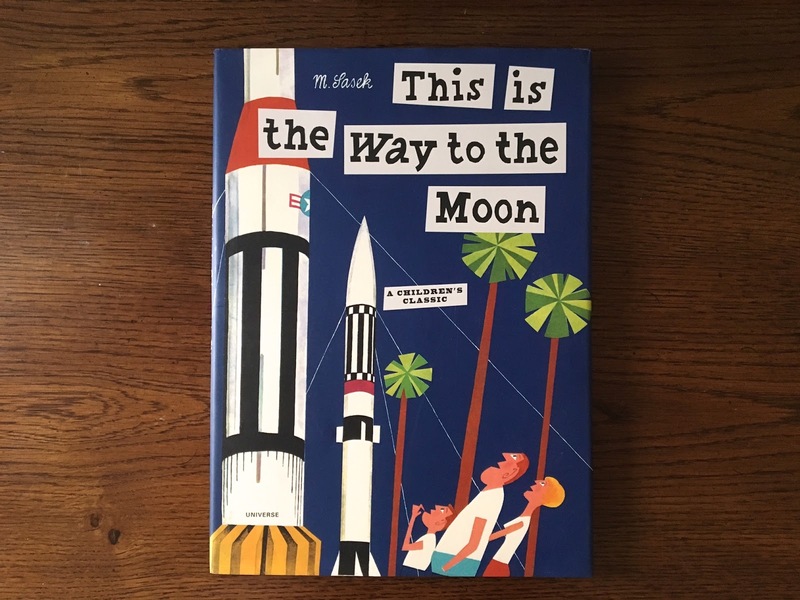 We have a couple others from Sasek's "This is" series and a few more on our wish list, but this particular book was a Christmas gift for my toddler, from last year. You may have heard of buying clothes in advance for kids, well I buy books in advance. This year over Christmas, we went to the Houston Space Center and it definitely made an impression on both of our kids. I was surprised by how much of an impression it made on my 2.5 year old since I think things can be hit or miss at that age, especially depending on their mood of the day. Since the trip he has been making all things blast off and has been even more interested in rockets and astronauts. When I got this "space book" off of our bookshelf he was thrilled. And really, why shouldn't he be? If you are familiar with this series, you know that the books are beautifully illustrated and offer fun details about the subject matter. 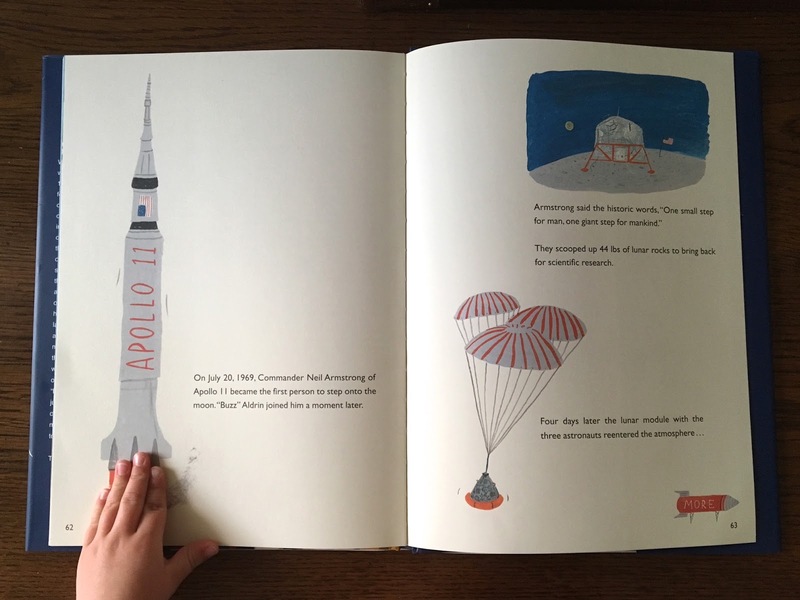 Keep in mind that these books were originally published in the 50's and 60's so the details are about space pioneers and the early space program. I love this because it makes it fun for me to read with him and discover new to me information. When the books were reissued the publisher included some footnotes in the back about how things are today- another wonderful detail. This is also one of those books that you can open on any page and start reading since it has details specific to the illustrations vs. an ongoing story. When I "read" it to my 2.5 year old I mainly discuss the pictures with him pointing to various details and I will read some of the text until I sense he is losing interest. When I read it with my 7 year old we go through all the text and talk about specific details, since these books show the way things were they tend to bring about a lot of questions and fun discussions. The next one on our wish list is This is Texas.